Colombian star Rigoberto Uran withdrew from the Tour de France prior to Thursday’s stage 12 to Alpe d’Huez, citing injuries he sustained in a crash earlier in the race. In a team release from EF Education First-Drapac, Uran said he felt “pain in my body” during Wednesday’s punishing mountain stage from Albertville to La Rosiére. Uran was dropped early in the 110-kilometer stage and finished in 111th place, 26 minutes behind winner Geraint Thomas. The result effectively eliminated Uran from the GC battle. 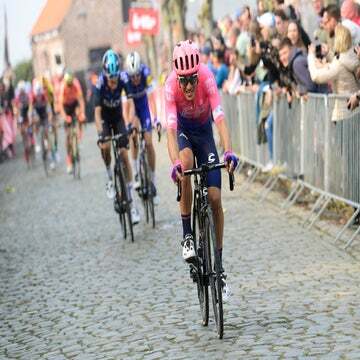 Uran was one of more than a dozen riders to crash during Sunday’s ninth stage from Arras to Roubaix, which included 15 sectors of cobblestones. Uran went down after one sector of cobbles, landing hard on his leg and arm. He lost more than a minute to his GC rivals on that stage. On Tuesday, Uran lost more time on the Tour’s first Alpine stage. 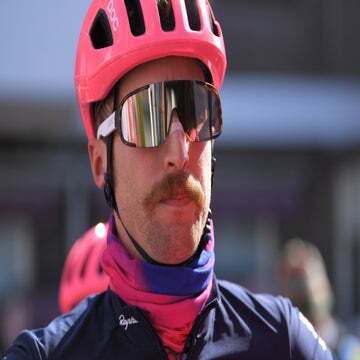 EF Education First director Charly Wegelius said the injuries compromised Uran’s position on the bicycle, which “could create problems down the line.” The team said the injuries had compromised Uran’s ability to pedal. The move brings an end to the team’s GC ambitions for 2018. EF Education First’s highest-place rider in the general classification is now Pierre Rolland, who sits in 39th place, 37 minutes behind Thomas. The team came into the 2018 race with major ambitions for the overall with Uran. In 2017, Uran rode a near-flawless race to finish second overall behind Chris Froome. In September 2017 the team — then called Cannondale-Drapac — nearly dissolved when a potential sponsor decided not to come on board. 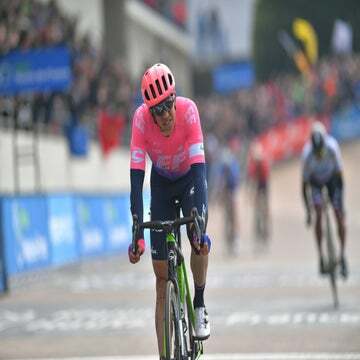 Rather than seek another contract, Uran continued with the team as it sought out a new deal, eventually inking an agreement with EF Education First.